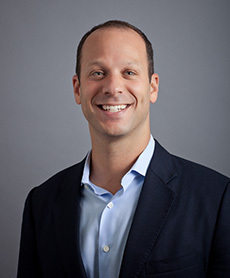 Samuel N. Porat is a Managing Director of NB Alternatives and is a member of the Fund's Investment Committee. Mr. Porat is Head of Alternative Yield strategies in Neuberger Berman and in that capacity he is responsible for all Neuberger Berman-led operations and activities related to Athyrium investments. Additionally, he is a member of the Board of Managers for Marquee Brands, a strategy focused on acquiring brand royalties and licensing. Prior to joining NB Alternatives in 2004, Mr. Porat worked in Lehman Brothers' Investment Banking Division in New York from 1997-1999 where he focused on corporate financings and strategic advisory across several industries. In addition, Mr. Porat was the Director of Strategic Planning at a venture-backed startup company based in New York from 1999-2001. Mr. Porat holds an M.B.A. (with honors) from the Wharton School of the University of Pennsylvania and a B.A. (with distinction) from Yale University.